In 2015 I was part of the IMNIS pilot program as a second-year medical research PhD student at the Walter and Eliza Hall Institute. Before starting my PhD, I had worked in the corporate world, so I’d always had a vague idea that I might be able to apply these complementary corporate and scientific skills. Naturally, the pharmaceutical and biotech sectors seemed like a place where this would be possible. However, viewed from within academia, these industries seemed mysterious, and it wasn’t at all clear how I might go about moving from an academically focused PhD program to the business of doing science. With this in mind, I joined IMNIS and was paired with my mentor, Prof. Paul Wood. Paul helped me to cut through some of this confusion about industry, providing really valuable advice and guidance. For example, Paul suggested that I print some business cards and attend the AusBiotech national conference to find out more about industry. This was a wholly different experience to the scientific conferences I’d attended before, but as Paul explained, “the business of science isn’t exactly the same thing as science itself.” Carrying this different mindset around has helped me greatly, even in my day to day work as an academic scientist. Paul and I continued to catch up occasionally after the official program had ended. As a result of his advice, I decided to gain some more experience away from the bench by being part of WEHI’s business development office internship program, as well as doing some work for a local biotech start up. These activities helped me to learn skills which I wouldn’t have otherwise learned as a PhD student. But perhaps even more importantly, they immersed me in the Melbourne biotech scene. I came to understand the different aims of a company as opposed to the publication imperative of an academic. I came to understand the importance of networking with people within the industry, as opposed to, say, applying for my next job online. I listened to the subtly different language that people used. These are the types of things that I had to experience for myself to understand. As for the future, I’m heading to the USA to pursue a postdoc position in industrial biotech. This is something which grew out of contacts and meetings I’d set up over two years before, with Paul’s encouragement. I can confidently say that it was the IMNIS mentoring program that gave me the tools and persistence to make an overseas transition in industry that might have otherwise never happened! Nick was a pleasure to mentor, he was clearly bright, and his PhD studies were going well, so it was all about looking at career options and how best to achieve these. Like most PhD students he was not aware of all of the different options in industry. From the start I let Nick know that he could end up in any position he wished, and he should not rule out any job. I recall suggesting that he attend the annual AusBiotech conference and on the first day he turned up in Jeans and runners. I asked him what message he was sending to potential employers. The next day he was in a suit and started to network, as you are more likely to get an industry job through contacts rather than just applying to job adverts. I have stayed in contact with Nick since the formal IMNIS program ended and we chat about different jobs or companies and industry people he should meet with. 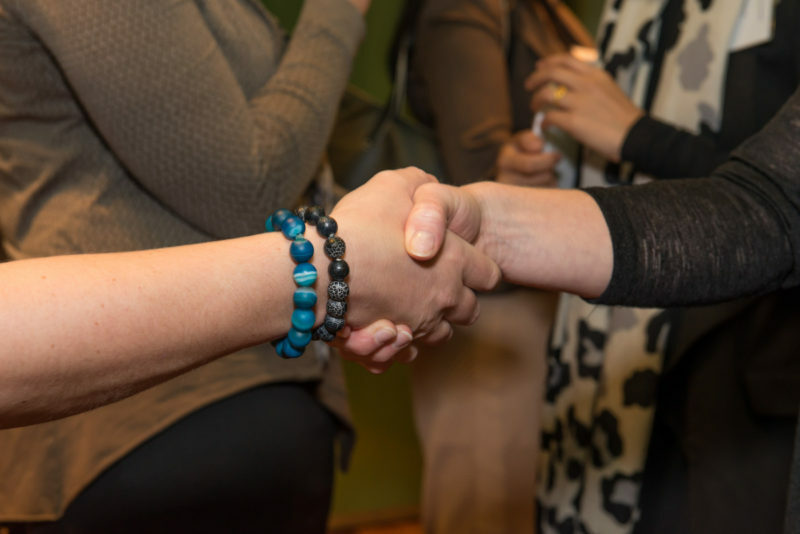 I think the keys to a successful mentoring relationship is open communication, the mentee driving the relationship and the mentor using their network to broaden the mentees connections and knowledge about industry career options. Nick was always open to suggestions for expanding his skills and network and I am really pleased he has decided to head to the USA to join a large commercial biotech company. Professor Paul Wood AO FTSE is a senior industry executive with over 30 years experience. He obtained his PhD from the Australian National University. At CSIRO, he was Leader of the TB Diagnostic and Vaccine Development program, where he developed the platform TB diagnostic technology now successfully commercialised by CSL and the Australian company, Cellestis. Paul received a number of awards for this research including the CSIRO medal, ASM Diagnostic award and in 2013, The Clunies Ross award. 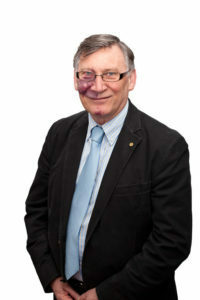 Paul was Deputy-Director of the CRC for Vaccine Technology from 1993-2000 and has published over 100 scientific papers. In 1997, he became Vice President, Global Research and Development in Animal Health at CSL, and in 2004 joined Pfizer AH as Senior Director, A/NZ Biologicals R&D. He became Executive Director, Global Discovery, Pfizer AH, Kalamazoo, Michigan USA in 2008 where he led the Global Discovery team for pharmaceutical and biological products. Paul returned to Australia in 2012 and established his own consultancy and accepted an Adjunct Professor position at Monash University. He was Director of a start-up AH company Nexvet Biopharma and is a founding director of IMNIS. In 2015 he was elected a Fellow of the Australian Academy of Technology and Engineering (ATSE). He is on the Board of Women in STEMM Australia and the Global Alliance for Livestock Veterinary Medicines as well as the Chair of AusBiotech’s Ag and Foodtech Committee. In 2016 he was elected to the Board of Dairy Australia and joined the Scientific Advisory Board for AACo. He was awarded the Officer of the Order of Australia (AO) in 2018. Paul is also a consultant to the Agriculture program at the Bill and Melinda Gates Foundation. Paul is a co-founder of IMNIS and was appointed to the IMNIS Expert Advisory Panel in 2017. 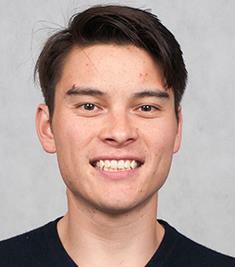 Nick Liau participated as a mentee in the 2016 MedTech-Pharma pilot program in Victoria.